The T-7610 tube converts analog sweep signals to digital by sweeping across an 8 bit solid state target instead of a screen. 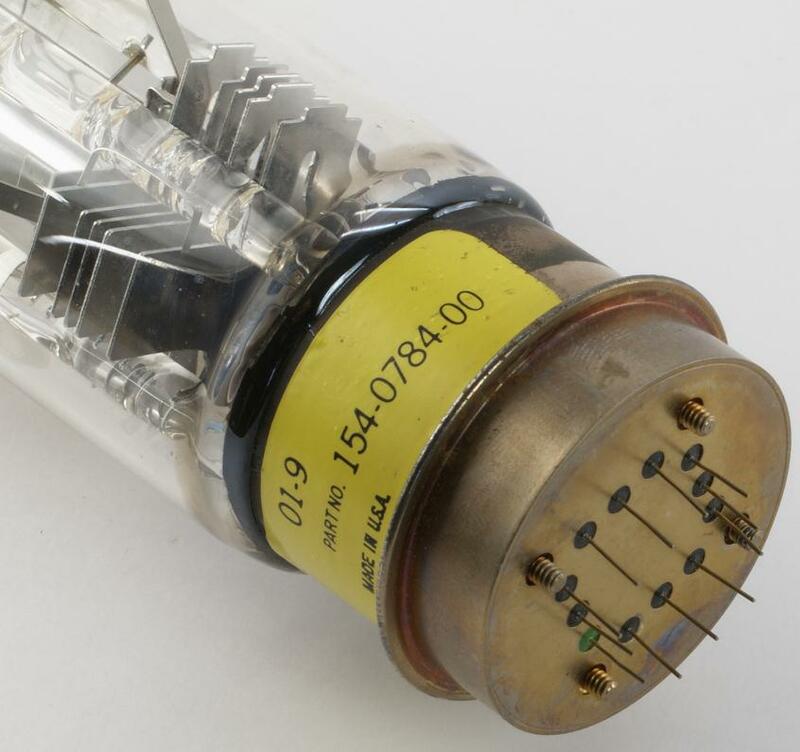 Two such tubes were used in the 7612D Programmable Waveform Digitizer, a dual-channel, dual time base waveform digitizer for use under computer control. The 7612D has a maximum sampling rate of 200 MHz. Each channel has its own analog-to-digital converter and its own time base operating from a single 200 MHz crystal-controlled clock. The result is two fully independent channels capable of capturing one waveform each, simultaneously, with the same or different vertical sensitivities and time-base settings. Each of the two channels in the Tektronix 7612D contains an Electron-Bombarded Semiconductor (EBS) tube to perform the analog-to-digital conversion. 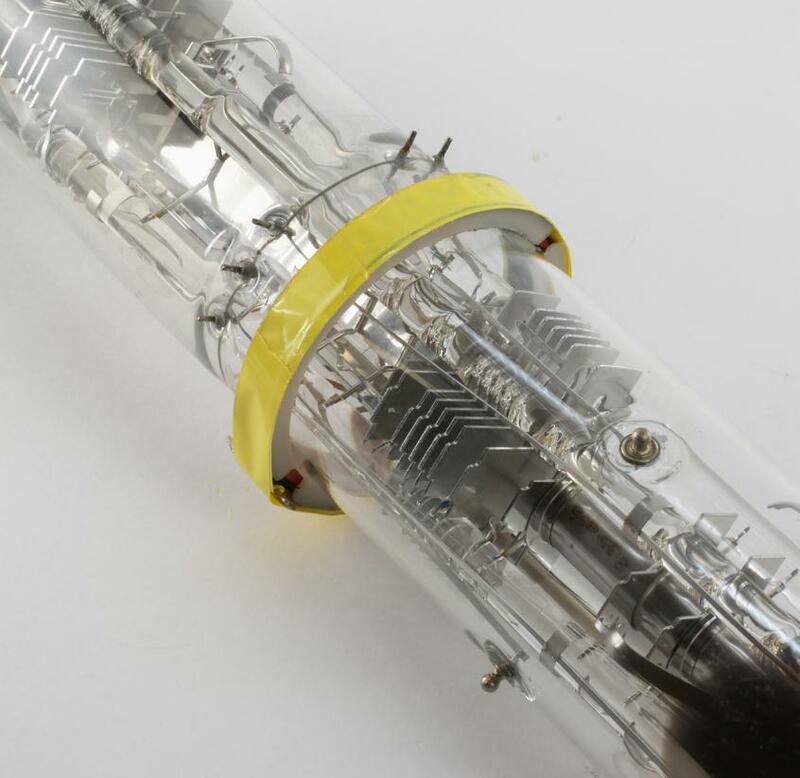 The EBS tube contains a target at one end and an electron gun at the other. The target is arranged as an eight-bit Gray-code-pattern diode array. The beam is deflected vertically across this array by the corresponding analog input-signal level. Whenever the beam penetrates a diode junction, that diode conducts and generates an output current. The tube output is continuously sampled by memory at 5-nanosecond intervals. The time base then selects samples from this continuous stream and stores them in the waveform memory at the programmed sample rate. Since the tubes are continuously scanned and sampled, both pre- and post-triggering capabilities are provided. Basic concept of the T-7610 tube: an electron gun produces a ribbon beam which bombards a semiconductor target. The beam is focused by a cylindrical lens to form a flat ribbon-like beam which can be deflected over the target area. The target consists of a silicon chip containing a number of long diodes overlayed by a pattern of thick and thin metal in the form of a digital Gray code. The diodes are reverse biased and normally non-conducting. When the beam bombards a thin metal (window) area, it penetrates to the diode junction region and generates an output current. Due to the large number of electron hole pairs excited in the semiconductor, a considerable electron gain occurs in the target, on the order of 2000 for a 10-kV beam. In the thick metal regions of the target there is no beam penetration and no output signal.